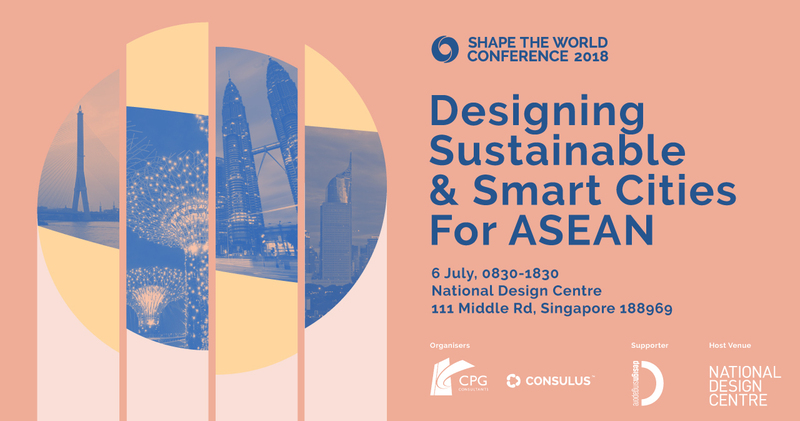 Track 1 – DESIGNING FUTURE IDENTITIES FOR ASEAN CITIES: How to strike a balance between traditions, values, urban growth and shape new social compact for an age of disruption. This track covers evolving demographics, challenges of diversity, evolving identity and how to unite and forge a shared purpose to shape a city of the future. Track 2 – ASEAN-CENTERED APPROACH FOR URBAN INNOVATION BY DESIGN: How an ASEAN-centered innovation approach towards urban planning, architecture, landscape enables sustainable development. Track 3: IMPLEMENTING NEW CITY DEVELOPMENT PROJECTS IN ASEAN: How to prepare, design a viable framework for implementation of new projects. The one-day conference adopts the unique Shape the World Conference method (Connect, Hear, Distill and Engage) through relational exchanges, sharing sessions, panel discussions, and workshops known as STW labs. Morning session will comprise of talks and panel discussion. Afternoon session will comprise of different labs to engage small groups of 20 each through case studies to deepen understanding on specific issues and exchange views. The closing session will be a panel discussion. Time will be given for participants to meet privately, exchange views. To facilitate quality exchanges, this event is by invitation only. If you are in government, financial institution involved with smart cities, real estate developer and you like to participate in this conference, please email to info@shapetheworldconference.org with your brief profile, the website of your institution and state which topic you will be most interested in. The conference has limited places of 120 and we seek your understanding if we are unable to extend an invitation to you.